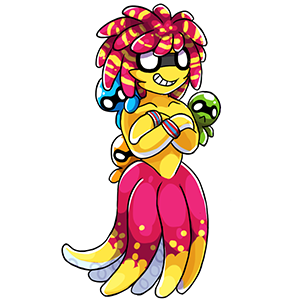 Merman is the fastest in the ocean, and he loves to challenge pets to races, offering prizes for those who can keep up. Living in Jenoa, Merman has the stamina to swim for years without any rest. The higher your pet stamina is, the greater he will reward them. NOTE - you are rewarded only once per pet. Trading for a pet with high Stamina stats list will NOT give you the prizes if they have already been rewarded.